Personal injury is the name given to the area of law that covers any wrong or damage done to another person, his property, rights, or reputation. A personal injury/wrongful death can happen almost anywhere: at work, while driving home, because of a defective product, because of a mistake during medical treatment, or because you slipped and fell on a wet floor. The personal injury can be physical or psychological but to be considered actionable, it must occur due to the negligence or unreasonably unsafe / careless actions of your employer, a manufacturer, your doctor, landlord, or some other person or organization who owes you a duty of ordinary care. To effectively prosecute your personal injury claim, you need attorneys not only well versed in negligence law but also experienced in the insurance claims process and the various ways of resolving personal injury disputes without litigation. 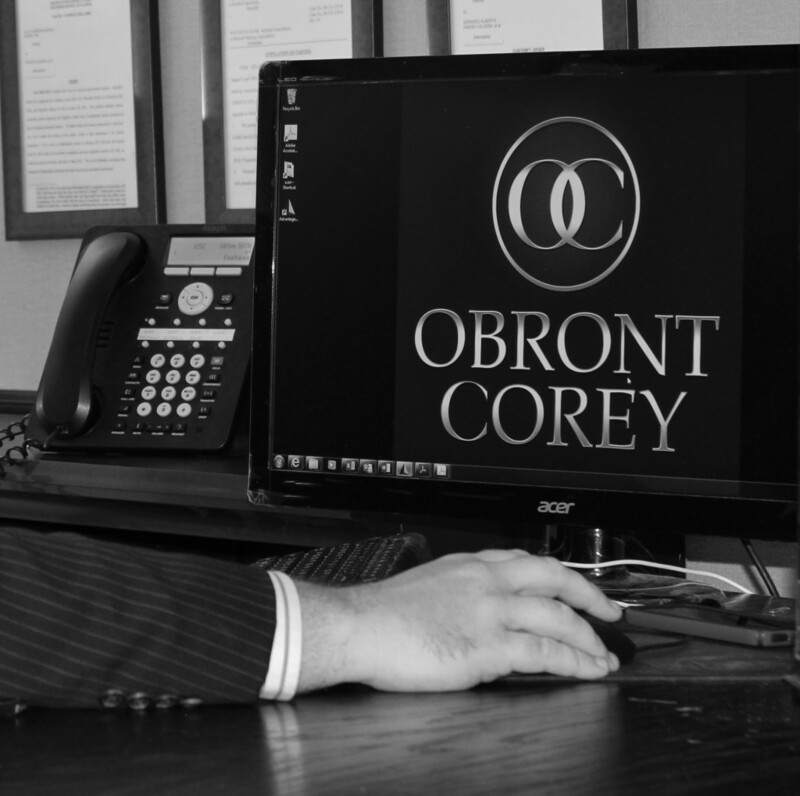 At Obront Corey, our attorneys have the experience necessary to navigate the complex insurance claims process and the trial experience necessary to enforce your rights in litigation if your claim is wrongfully denied or if insurance is unavailable to redress your injuries. If you have a personal injury claim, please make an appointment to meet with one of our attorneys to discuss the possible remedies available to you.